China’s Iron Ore Market Vulnerabilities | Merchant Research & Consulting, Ltd.
Iron ore mining remains a vibrant and lucrative mining sector, though its high expansion rates and sky-rocketing prices over the previous decade (especially in the Asia-Pacific region) are mostly the matter of the past. 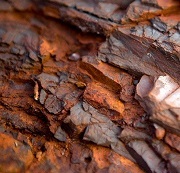 The iron ore market forecasts for 2019 look cautious. The current economic slowdown in China is evident despite growing export volumes and expected economic stimulus to raise steel demand (Beijing-led infrastructure growth boosted domestic demand for steel). The cooling-down of the Chinese economy may primarily affect iron ore consumers in China, though this might be considered relative as China’s growth and enormity of infrastructural projects are unprecedented. The Chinese government has been undertaking multiple measures to support its national iron ore market. They included raising resource security, increases in supplies, efforts to make alliances with other iron ore-mining companies (vs the efforts of Big-3, featuring Vale, BHP Billiton, and Rio Tinto), direct investments in the sector, to name only a few. However, the vulnerability remains as China’s iron ore resources account for just 12% of the global resources; iron is included in the national Strategic Mineral Reserve (China is a consumer of a third of global iron ore). So, when in late January 2019, Vale SA, the world’s biggest iron ore producer (the estimated iron ore output by Vale will hit 400 mln tonnes in 2019), had to stop operations at its Corrego do Feijao mine following a deadly tailings dam collapse, it immediately affected the Chinese iron ore market. It sent the local iron ore prices to year and a half peaks at $84.23 a tonne (current 62% Fe Iron Ore Index: $85.53 per tonne, CFR Qingdao). Another important factor which affects the Chinese iron ore sector is the existence of large and multiple trade disparities between China and the United States, including steel trade. Currently, the new U.S. trade actions effectively block steel exports from China and other countries. Moreover, it affects other markets too as some countries now are afraid to lose the US market being targeted by the US for alleged or real re-exporting of Chinese steel products to the US. For instance, this happened in relation to Vietnam, which was accused of re-exporting Chinese steel products to the US. Now China has strong prospects of losing the Vietnamese market which is apprehensive of failing to sell at the US market. However, with all these factors, China remains a major player on both iron ore and steel markets, with an aggressive policy of seeking new markets, especially in Africa, where its mining presence has been growing exponentially. 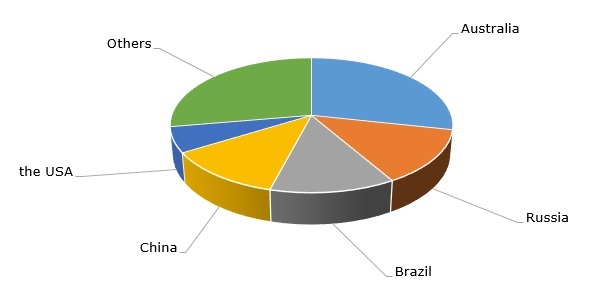 More information on the global iron ore market can be found in the in-demand research report “Iron Ore: 2019 World Market Review and Forecast to 2028”.